One of Bicycle City’s greatest assets is its commitment to using alternative, clean energy sources. Our goal is to have as low a carbon footprint as possible, and one way we will achieve that is by relying heavily, if not entirely, on renewable energy such as solar and wind power. 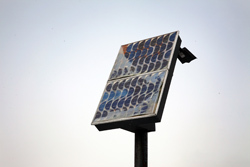 Solar power is one of today's most buzzed-about sources of clean energy. Solar energy optimization occurs during the design process, as buildings are built with energy conservation in mind and designed to maximize natural sunlight. Solar panels placed strategically on a building can often provide energy amounts that exceed the needs of that particular building. Solar water heaters also capture the energy of the sun and heat water for everyday use, such as laundry, bathing and even in swimming pools. Wind power has been harnessed for thousands of years, powering irrigation and feed systems on farms, sawmills and some of the first spice processing systems. 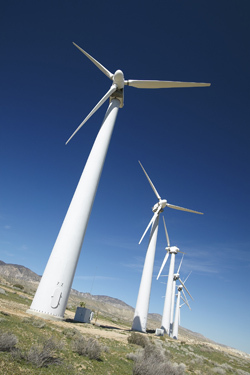 Wind power is one of the world’s fastest-growing energy sources, according to AltEnergy.org. Wind machines collect the kinetic energy of wind in their blades, which are connected to a drive shaft which turns an energy-producing generator. Another increasingly common source of power is geothermal energy. Geothermal energy capitalizes on the heat and steam that are continually generated in the Earth’s core. Very deep wells are used to pump water and steam from inside the Earth to the surface. Geothermal energy is used as a direct heat source, in heat pumps and to generate electricity. Using geothermal energy as a direct heat source and in heat pumps has almost no effect on the environment.